I’m getting a 504 Gateway Timeout message when trying to load my site http://www.omeidachinese.com. I get the same message when trying to log into my WP admin. I host from Siteground and clicked to update the SG Optimizer plugin from WP dashboard. I then refreshed and the site was down. And I can’t access my dashboard to deactivate the plugin. What can be done? Hey, I am looking into it and will update your post shortly. I’ve restored my database using Siteground Restore option in Cpanel. I’m back up and running again. Thanks. Hi I have already cleared the browser cache and the DNS cache. Everything was fine until last week when I Masterflash the cache, I used the Memcached and downloaded the SG Optimizer plugin (all that from Siteground CPanel). Since then everything went bad, my CPU usage, log errors and site. 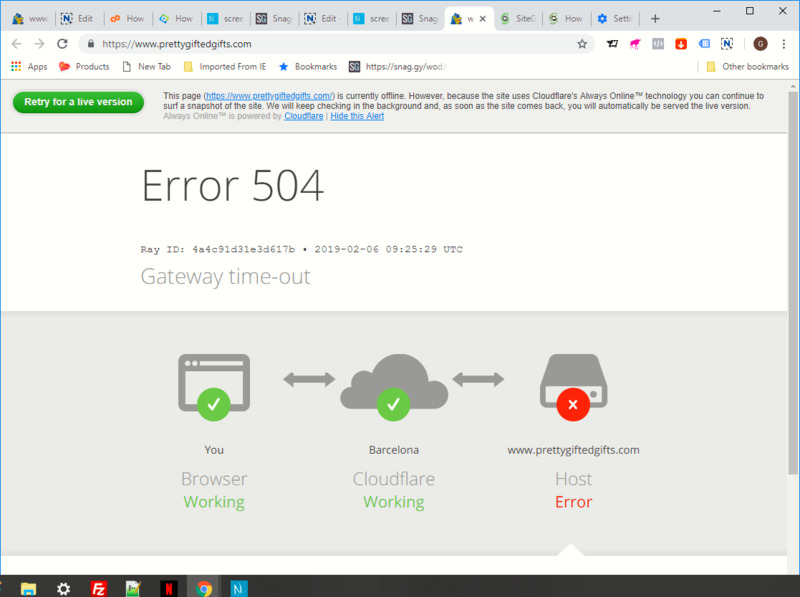 but when going to the site give the same result of site down Error 504.